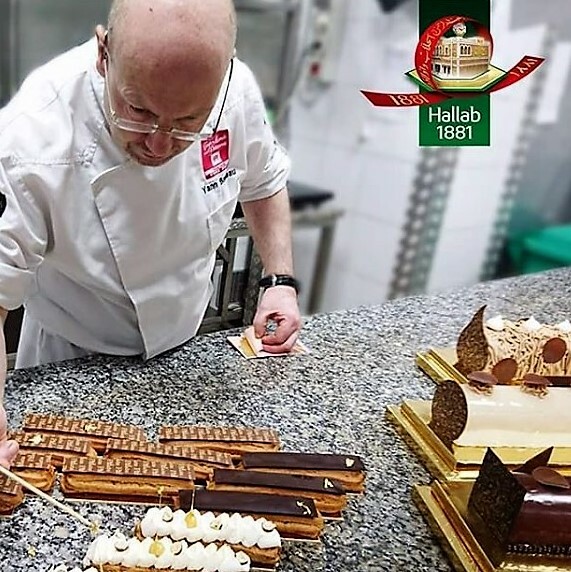 Famed pastry chef Yann Bonneau - a finalist in the world cup of pastry no less - is indeed in Tripoli hosted graciously by Hallab 1881. As a diabetic, just writing this is kicking my factors sky high. 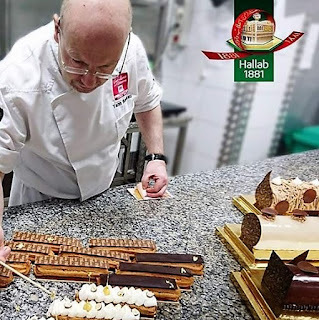 Zaher Hallab, whom you might know from his tech channel, says that "having someone of the excellence of Mr. Bonneau come here and teach our pastry department new recipes is a unique opportunity for us - to maintain our long-standing leading status and remain on the innovative front in the pastry business". Chef Bonneau said "it amazes me such a huge scale sweets factory exists in the Middle East, yet it paradoxically still holds the family spirit. Something we have lost in France in the plethora of international firms which seem to lack the individualistic touch present at Hallab 1881." I for one cannot wait for the Christmas outcome of this partnership, my doctor however might disagree.